 Telling the Patient No - ONRAD, Inc.
HealthLeadersMedia | Patients are not used to hearing the word no from their hospital or physician. But they will have to start getting used to it. When the discussion takes place about the need for expensive tests or procedures that perhaps don’t follow evidence-based guidelines, such conversations will be novel for a number of physicians and hospitals as they start to take on a bigger role in reducing waste and inefficiency in healthcare. Through bundled payments and other reimbursement mechanisms being implemented by commercial health plans, hospitals and other healthcare providers will be penalized for ordering tests, procedures, and other items that the evidence shows to be unnecessary. In most cases, the determinations about care processes will take place outside the patient’s view. But often, patients do come in and ask for various treatments, drugs, and types of care because a friend or relative recommended it. So how should hospitals and physician practices prepare for this likely backlash? “At this point, hospital leaders are not necessarily in the business of making decisions about care and appropriateness of care, but they’re caught in the crossfire between policies that are directing us toward that,” says Paul Keckley, executive director of the Deloitte Center for Health Solutions, the health services research arm of Deloitte LLP. He says the impetus for doctors and hospitals to monitor these decisions more closely—and sometimes intervene—comes from two big ideas in the Patient Protection and Affordable Care Act. One is the notion of comparative effectiveness, which will be studied by a nonprofit created by the PPACA, the Patient-Centered Outcomes Research Institute. Implementation of any guidelines from this entity will be slow in coming, however, because the first priority of the institute is to fund studies—results from which will be the basis of recommendations on care disseminated to healthcare providers of all types. Practically, nothing that comes out of this organization will see the operational level at healthcare providers for several years, at best. The second big idea, and arguably a more important driver for care decisions, will come from the Independent Payment Advisory Board, another entity called for in PPACA, which has the task of enforcing an upper-level annual spending growth limit on Medicare. That is, a cap. “Where you have two approaches to treating a patient population in which the evidence is roughly the same, it would be rational in policy to do the cheaper of the two,” says Keckley. “Hospitals will be caught in the crossfire between a policy and the expectations of doctors and patients,” he adds. So far, says Keckley, many doctors and patients are successfully blaming the legislation for almost any sense of dissatisfaction with healthcare, adding that polling suggests most consumers associate these themes with health reform legislation. But that doesn’t mean hospitals and doctors will be entirely off the hook with the public. Not surprisingly, many leaders on the edge of the changing dynamics are encouraging an ownership culture among their physicians such that they determine the best protocols based on the available evidence, and then hold themselves to that standard, says James C. Sams, MD, medical director of Piedmont Physicians Group, a mostly primary care practice owned by Piedmont Healthcare, a four-hospital system based in Atlanta. Despite the fact that many of the regulations they will have to follow are yet to be implemented, they’re preparing the right mind-set in their physicians by proactively implementing evidence-based guidelines for care. But the standards aren’t being forced upon the physicians—rather, physicians are being asked to author them. Guidelines in the outpatient arena are what have seen most of Sams’ attention lately.